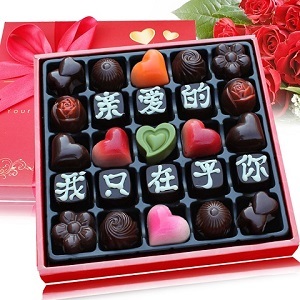 The Chinese tradition has several important big holidays (except for the Chinese Singles’ Day which is not a traditional Chinese holiday, rather it is an invented celebration). 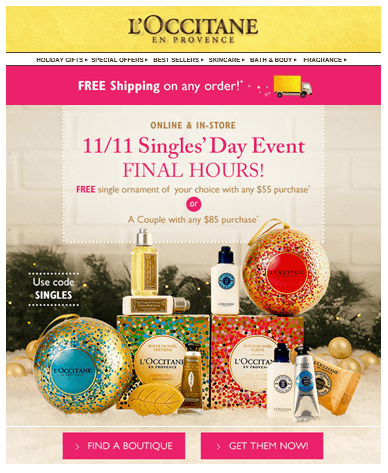 Retailers are quick in adopting these holidays and turning them into sales opportunities, especially by producing special goods for specific holidays. Here is a list of Chinese holidays where people will buy a special good to celebrate the occasion. Chinese Singles’ Day, celebrated each year on November 11th since the 1990s, is the biggest shopping day in China. In 2018, the e-commerce retailer Alibaba made $42 billion in sales during its 24-hour online sale, 27% increase than previous year, while JD.com, Alibaba’s biggest rival, made $23 billion on that day. Chinese Singles’ Day is not a public holiday, much like Valentine’s Day. Known as 光棍节 (guānggùnjié; bare stick day) in Chinese, it is celebrated on November 11th because the month and the date (11.11) resemble single sticks or 光棍guānggùn, words used to refer to bachelors. Chinese Singles’ Day is estimated to be four times bigger than Black Friday sales, which also occurs in November. It was commercialized by Alibaba ten years ago and today has become the biggest shopping day in the world. When: The 1st day of the 1st lunar month. Chinese New Year usually falls somewhere between late January to mid-February in the Gregorian calendar. It is the most important Chinese celebration and is a 7-day public holiday in China. The holiday starts one day before the New Year’s Day to prepare for the important reunion dinner. Often people will start preparing for the Spring Festival two weeks before the actual holiday. These preparations include Spring Cleaning and purchase of special goods for the Spring Festival, called 年货 niánhuò. A popular couplet is the word 福 (fú; fortune) written on a red paper placed at the front door to mark the arrival of good luck. Food & beverages, including sweets. Red packets for children, known as 压岁钱 yāsuìqián. 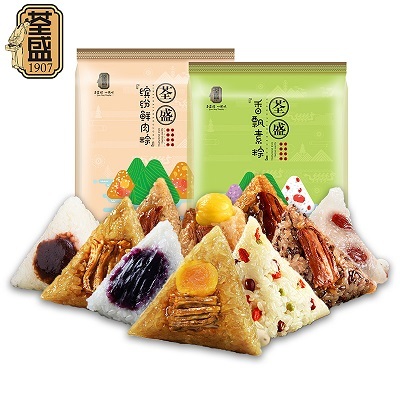 Spring Festival gift hampers can be sent to relatives, friends, or business associates. Coca-Cola with its red logo is considered auspicious and thus often purchased as 年货 niánhuò. Retailers, including jewellery retailers such as Pandora and Swarovski, produce special items to celebrate the festival. Clothing stores will also sell a lot more red or pink clothes as the color is considered auspicious to be worn during the New Year festival. 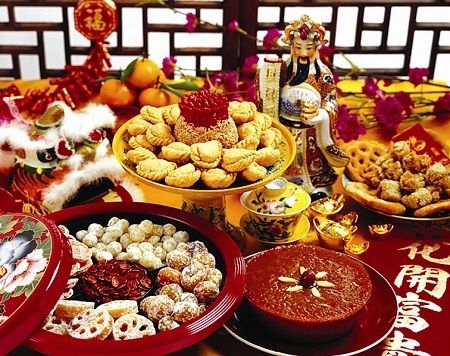 Traditionally, families will gather at home and prepare home-cooked meals for the reunion dinner (年夜饭 niányèfàn) during the Chinese New Year’s Eve. Today, booking a table in a restaurant for the dinner is more convenient. During the Spring Festival’s week, restaurants will take bookings offering special dinner menu for the occasion. When: The 15th day of the 8th lunar month. Chinese Mid-Autumn Festival is a one-day public holiday and is considered to be the second most important celebration after the Spring Festival. Families and friends can book a table at a restaurant for a reunion dinner or have dinner together at home. Popular purchase related to this festival is the Moon Cake. Families will buy moon cakes for themselves, friends, or relatives. Moon cakes are sold in stores only during the festival time, usually available one month before the festival. 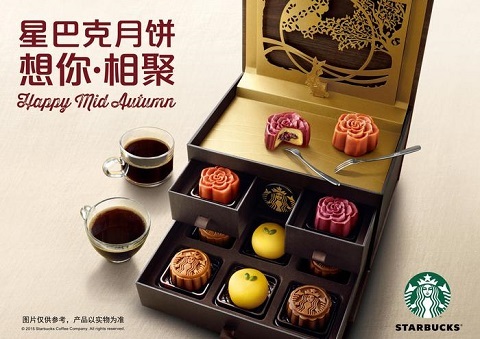 Local and international restaurants will produce Moon Cake gift boxes during this festival, a good branding opportunity. When: The 7th day of the 7th lunar month. Double Seventh Festival is considered a Chinese Valentine’s Day, originated from the Chinese legend of the cowherd and the weaver girl. People will buy a gift for their significant other to celebrate the occasion. Roses, chocolates and jewellery are popular gift choices for females, whereas accessories such as belts and watches make popular gift choices for males. In 2018, Nike released Qixi Festival’s His and Her Cortez exclusively in China, with design inspired by the cowherd and the weaver girl. When: The 5th day of the 5th lunar month. Dragon Boat Festival is celebrated by having a dragon boat race and eating meat dumplings (粽子 zongzi). Families traditionally will make the dumplings themselves but modern households will find it more convenient to purchase 粽子 zongzi from restaurants or shops. The dumplings can also be given as a gift to others. Western restaurant chains in China, such as KFC, MacDonald’s and Starbucks all include 粽子 zongzi in their menu to celebrate the occasion. For more business Chinese, click the course link below.